(Chris Detrick | Tribune file photo) Traffic on U.S. 89 in Davis County near 1400 North Thursday, August 24, 2017. UDOT is proposing to add $200 million to project to convert U.S. 89 into a full freeway, thanks to savings from other projects that came in under budget. It’s better than pennies from heaven: Good fortune produced an unexpected $371 million that the Utah Department of Transportation wants to use to upgrade some long-planned big projects. That includes adding $200 million to improve a project to convert U.S. 89 in Davis County into a full freeway; $140 million to add lanes to the new West Davis Corridor highway project; $17 million for a Jordan River bridge on Porter Rockwell Boulevard in Riverton; $10 million to improve State Road 30 in Cache County; and $3.35 million to build a long-desired bridge over railroad tracks on 5600 West in Salt Lake City. Officials delivered the happy news to the Utah Transportation Commission as it met Friday in St. George. The commission plans to consider the recommendations for a month before deciding exactly where to spend the money. UDOT Deputy Director Jason Davis said the extra cash comes from two main sources. First, sales taxes that help fund the state’s Transportation Investment Fund produced more than expected amid a healthy economy. Second, and more important, other ongoing projects ended up costing much less than budgeted, so the excess is being returned for other work. He said UDOT tries to be conservative in its long-term budgeting and often includes extra in projects to cover risks about such often unknown costs as land acquisition, moving utilities or legal challenges. So, for example, a project that is about to begin to extend the Mountain View Corridor from 4100 South to State Road 201 in West Valley City is costing $160 million less than originally budgeted, $335.1 million instead of $495.1 million. Somewhat similarly, UDOT saved $15 million on a project to widen and improve Interstate 15 in Lehi and $11 million on another I-15 project in Davis County. Lyft makes moves to attract Utah drivers who don’t even own cars or want more help with environmentally friendly vehicles. • U.S. 89 in Davis County: UDOT previously announced plans to convert it into a full freeway that connects I-15 in Farmington to Interstate 84 at the mouth of Weber Canyon. Davis said that as environmental study work was completed, the agency found the project would cost more than anticipated to build ideal-design interchanges and frontage roads sought by the community. He said UDOT discovered it could not simply use the highway's current alignment, for example. Adding all four interchanges proposed in environmental studies, widening and some new frontage roads would increase the once-expected cost of $273.1 million to $473.1 million. • West Davis Highway: The project is essentially a northwestern extension of Legacy Parkway. Original funding envisioned that the northern four-mile end of the project would have one lane in each direction initially, instead of the two lanes in each direction elsewhere. Extra money would be used to have two lanes in each direction for its entire length, raising costs from $609.25 million to $750 million. 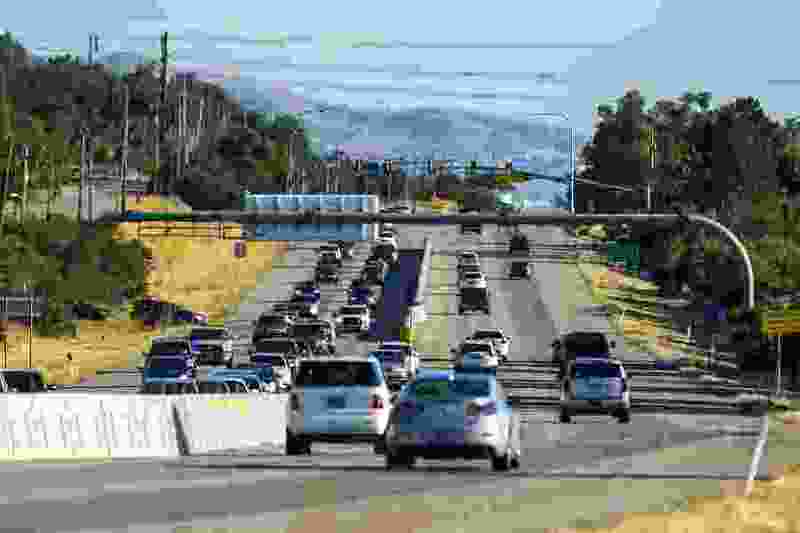 • Porter Rockwell Boulevard in Riverton: Officials in southern Salt Lake County for years have requested adding a bridge over the Jordan River there to allow that road to offer another needed east-west route in the area. UDOT proposes using $17 million of the extra money to do that. • State Road 30 in Cache County: “It is sort of the back door out of Cache Valley, and it is getting more and more traffic as that valley grows,” Davis said. UDOT proposes using $15 million to expand projects to widen that road. • 5600 West in Salt Lake City: Residents have long pushed for a bridge over railroad tracks near 700 South. While 5600 West has become a major north-south commuter route, trains crossing often can back up traffic for long periods. Adding the bridge to a project to widen 5600 West and reconstructing its nearby interchange with Interstate 80 would boost costs from $71.65 million to $75 million.